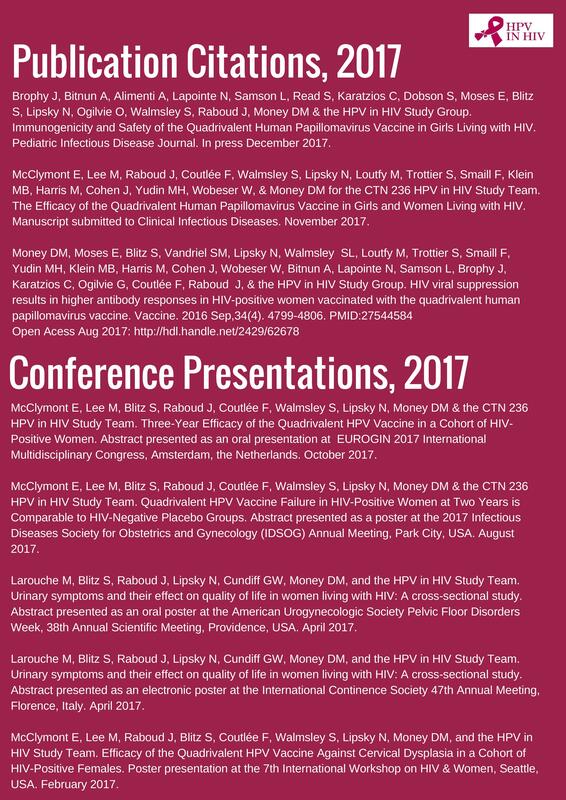 Twenty-seventeen was an exciting and productive year for the “HPV in HIV Study”. The Long Term Follow-Up phase of this study extends the national project to collect longer term data on the immunogenicity, efficacy and safety of the human papillomavirus vaccine in women and girls living with HIV. 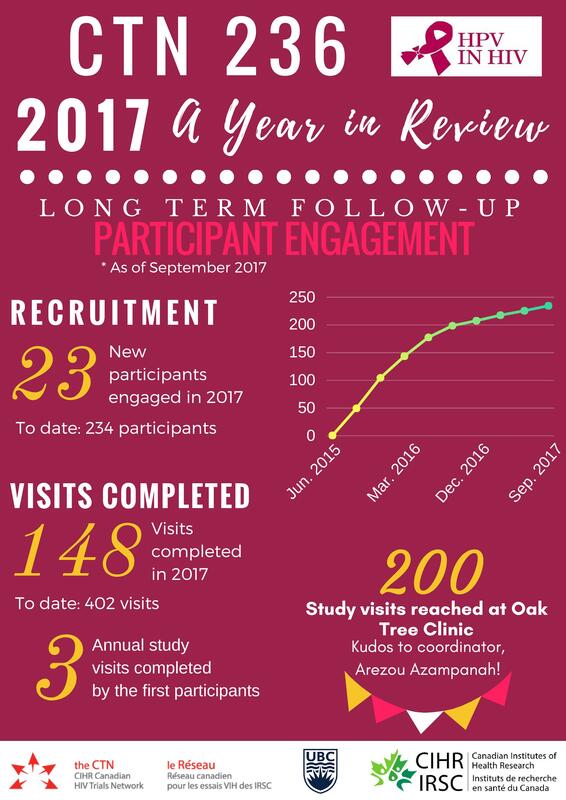 Over 150 study visits were completed in 2017, bringing the Follow-Up Study to 457 visits completed to date. 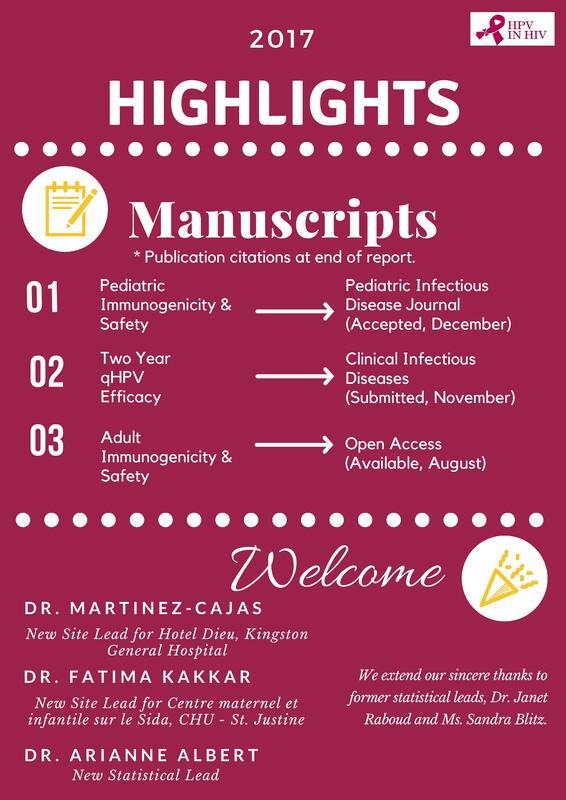 A pediatric immunogenicity and safety analysis was published in the Pediatric Infectious Disease Journal and a parallel adult immunogenicity and safety publication became open access post-publication in the journal Vaccine. Data was presented at premiere international conferences including EUROGIN in Amsterdam, the Netherlands and at the Infectious Diseases Society of Obstetricians and Gynecologists (IDSOG) Conference in Park City, Utah. Several awards were gratefully accepted by the team, recognizing study investigators and project outputs. 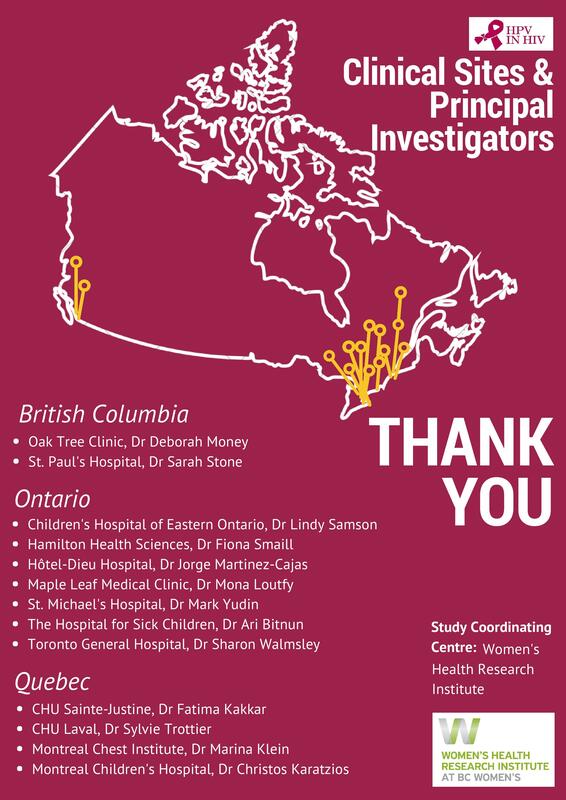 These accomplishments reflect outstanding work from a national team of investigators, staff and participants, with support from the public, and a multitude of institutions. 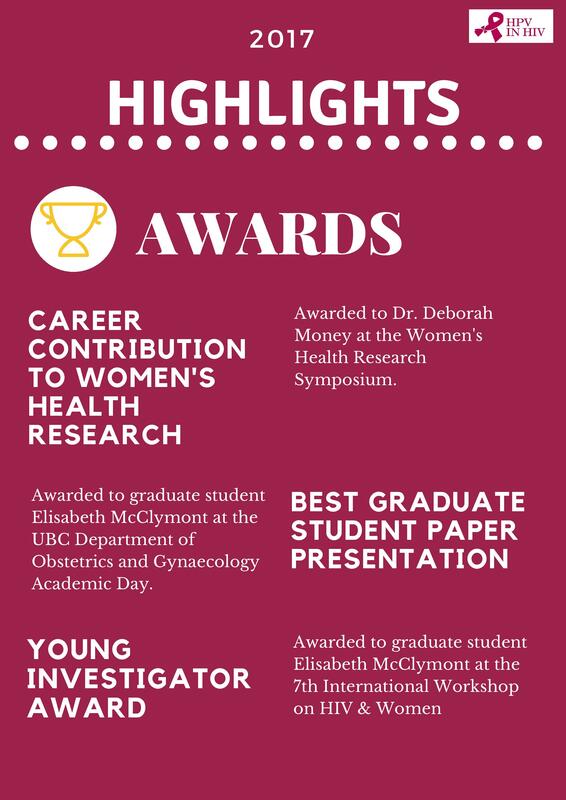 We thank the Women’s Health Research Institute for their support and invite you to see our full annual report. We have adopted a new visual approach to annual reporting and hope you enjoy this new format!